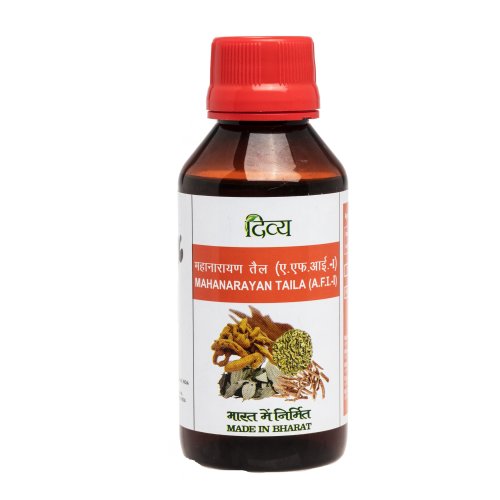 MahanarayanTaila is an Ayurvedic oil that cures chronic joint and muscle pains and rigidity caused by arthritis, gout, etc. 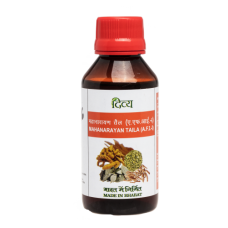 It is an effective cure for pains caused by injury especially in the chest, back and pelvic area. Massaging MahanarayanTaila regularly heals the bone, increases blood supply to the surrounding muscles and rejuvenates the nerves thus providing lasting relief. It is also a very effective treatment for limbs paralysed by stroke or injury. .